MONTEREY – Virginia Tourism Corporation announced today that the 50th LOVE artwork has been unveiled in Highland County. The artwork, inspired by the popular barn quilt patterns found throughout the county, is now on display at Rt. 220 South, near the Community Pool. 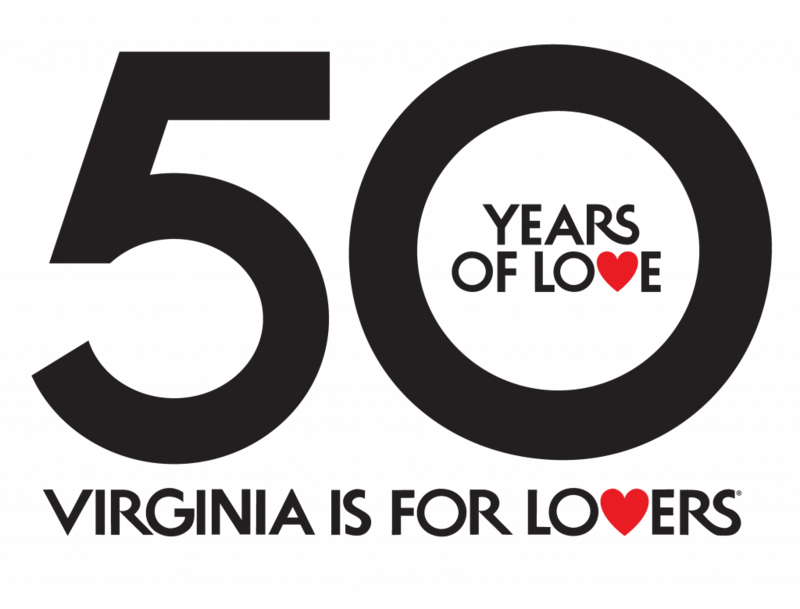 The artwork, commissioned by Virginia Tourism Corporation, is an extension of the 47-year old “Virginia is for Lovers” brand, and features giant LOVE letters in towns and cities across the Commonwealth. The LOVE letters, called LOVEworks, have become popular tourist attractions, inspiring viral posts on social media using the hashtag #LOVEVA. The Highland County LOVEwork is the fourth in the Virginia Mountains Region. The creation of the LOVE letters was planned by the Highland Tourism Council and designed by barn quilt artist Margie Boesch. 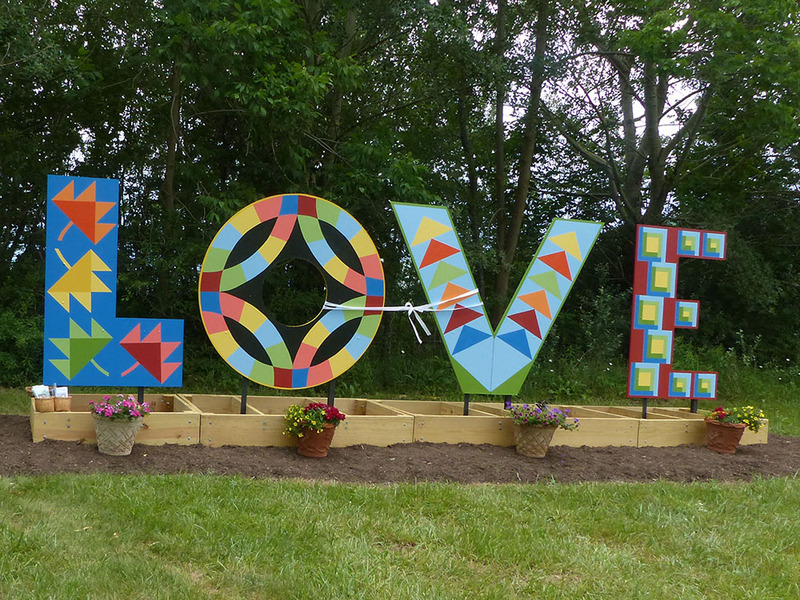 Funding for the materials was provided through Virginia Tourism’s LOVEworks reimbursement program, a grant designed to help defray the costs of building the LOVE letters. More than 100 hours of volunteer time was donated to the creation of the letters. The letters were cut out by Highland High School students under the direction of Tom Boxler. The painting studio was set up in the vacant Ernie’s Market building provided by owner David Rowe. The patterns were painted by Margie Boesch, Donna Bedwell, Liz Devenny, Marion Ewald, Anna Maria Weierick, Lorraine White, and Carolyn Williams. The support for the letters was designed by architect Bill Rich. The metal supports were welded by Pat Hull. The wooden box supports were constructed by Michael Bedwell, Bill Rich, and Dan Solomon. The site was prepared by Highland County crew Richard Waybright, William Bear & Steven Mitchell. They also assisted in the installation of the letters along with Michael Bedwell and Dan Solomon.